Opinion Forum » Who Was Jackie Parr? 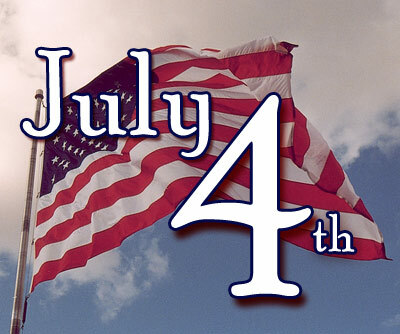 The Fourth of July is a special “Americans only” holiday. For some reason I always think of Jackie Parr. Never knew or met him. He was older than me but still his mom and dad’s baby. I attended his funeral. Jackie was killed in action just as World War Two was winding down. If he had made it another three months he would have been twenty years old. Jackie’s funeral was the first military funeral I’d ever attended. The burial of a warrior is a solemn affair. I suppose different people leave these types of funerals with different impressions. For a youngster such as I was at that time it was a very emotional experience. The casket remained unopened during the wake and burial ceremony. An American flag was draped over the casket and a small picture of what I assume was Jackie in uniform provided a final touch. The final farewell to the young man who would forever be nineteen years old going on twenty. My first true Hero would turn out to be a young man from here at Indian Creek. A person I’d never meet. A person who had been willing to be forever nineteen so that I could someday be twenty. Nice article, Larry. For many years, World War II (and other wars, really) were portrayed in movies and even novels as somehow relatively bloodless and characterized by heroic battles. That’s changed in recent years, with movies like Saving Private Ryan (the first 20 minutes or so), Clint Eastwood’s Flags of our Fathers, and a number of others. It was a horrific business, and even though we lost far fewer soldiers than a number of other countries, we paid a high price in the loss of the best of a young generation.